We moved into a new construction home in March and have been dealing with cloudy water ever since. We had culligan come out and they said it was very fine clay sediment. (we have a water softener through them)The only solution they had was adding something to the water to make the particles bigger and easier to trap with filter. I really don't like the idea of adding something to our water. We have a big blue filter and I buy the .5 micron filters, change it weekly and the water is still rarely clear. I hate giving my kids baths in that cloudy water...I feel like we aren't really getting clean because we are bathing in dirt. Please help! Do you know of a solution? The suggestion you got is actually the most common method of treating cloudy water, also referred to as "turbidity." The system they described would inject alum (aluminum sulfate) into your water, causing the cloudy particles to flocculate (that is, mass together) into bigger particles which can then be removed by a backwashing filter. This is the same method for treating turbidity that is used in municipal treatment plants. The dosage of alum must be just right, though, and often requires frequent adjusting when using this method. Luckily, it is possible to treat cloudy water without adding chemicals to your water, via a method called ultra-filtration. 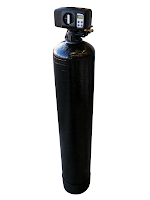 Ultra-filtration systems filter water to less than .02 microns, and remove everything except naturally occurring waterborne minerals. We recommend the VZN-440H UF system, pictured left. 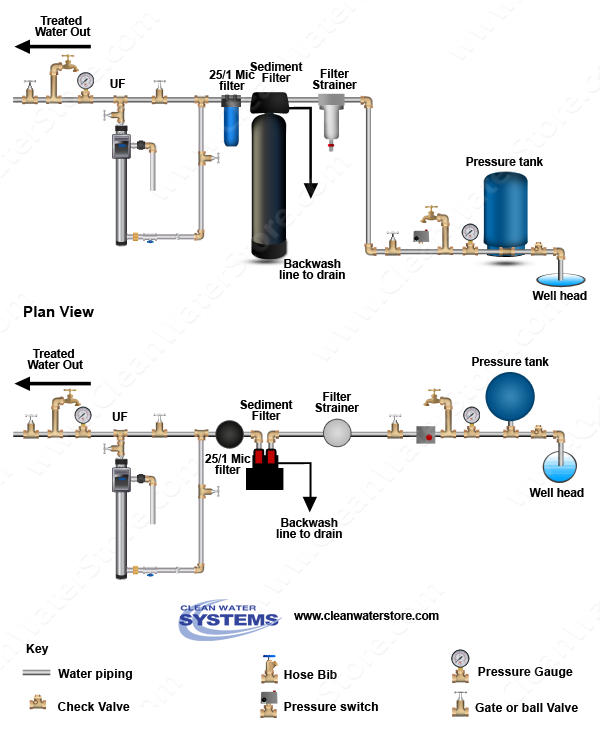 This system will definitely suit your application, though you'll also want a good prefilter system installed before the UF system to protect its membrane from wear and tear from large sediment and prolong its lifespan. Such pretreatment systems would include a sediment backwash filter (pictured right) and dual-grade 5/1 micron cartridge filter to remove particles larger than 5 microns before the water gets to your UF system. Thanks for the letter, Carol. We hope this helps you achieve clear, clean water for you and the kids - no more bathing in sediment! For any further questions, you can e-mail us at support@cleanwaterstore.com, contact us on Facebook, or fill out our online contact form. We're here to help! Have a Question about your well water? Thanks for finding my blog! I have been in the well water treatment business for over 25 years as a Licensed Water Treatment Contractor, WQA Certified Master Water Specialist, and Certified Installer. If you have a question or just want a second opinion, please send me an email here and I will respond quickly. You CAN solve your well water problems and have great water throughout the home without having to spend a fortune. Click Here to Send Your Question! Which Water Tests Are Best for Well Water On a Farm? 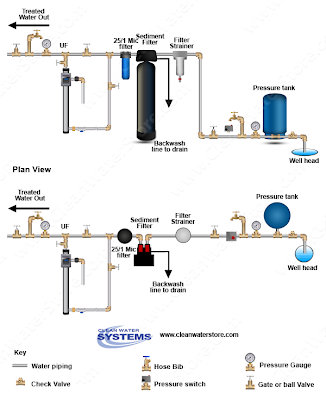 Which Well Water Treatment System is Better: Chlorinator or Hydrogen Peroxide Treatment? 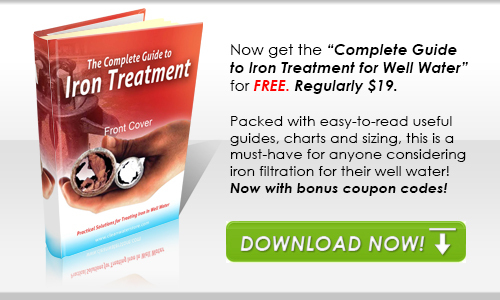 How To Remove Iron Bacteria From My Well Water? What Causes Blue Green Stains in My Bathtub? How Much Chlorine Bleach Should I add to a 8000 Gallon Storage Tank? Simple theme. Theme images by PLAINVIEW. Powered by Blogger.